The Brose site in Bremen is conveniently located on the Hansalinie industrial estate beside the A1 autobahn, and only six kilometers away from the Mercedes-Benz car plant. 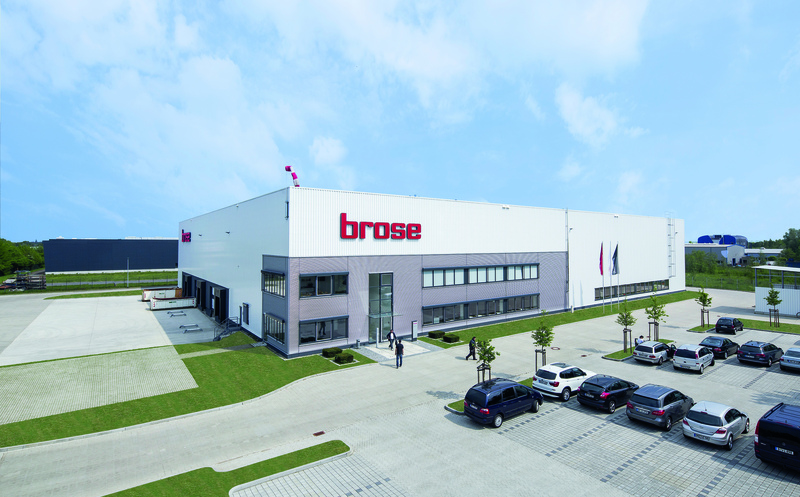 Global automotive supplier Brose has celebrated the grand opening of its new door systems plant in Bremen, creating 60 jobs in the first stage of this new venture. On the 4,500 m² shop floor, the mechatronics specialist manufacturers door systems for the new Mercedes-Benz C-Class. These are then delivered to the assembly line of the local Mercedes-Benz car plant and fitted into as many as 600 vehicles a day. More than 60 guests from industry and politics attended the opening ceremony. In the presence of Brose Group Chairman Michael Stoschek, Bremen's Senator for Economic Affairs Martin Günthner welcomed the company: “I am delighted that Brose has chosen to locate to Bremen, adding to the list of leading global players already established here.” General Manager Christoph Jaiser thanked representatives of the city state of Bremen for providing helpful and non-bureaucratic support. With the door systems, Brose has a product that can be manufactured cost-effectively even in a high-wage country, because it offers corresponding cost benefits to carmakers. The mechatronics specialist combines mechanical, electrical and electronic components on a carrier plate, thus improving performance, costs, quality and weight. Thanks to systematic lightweight design and an innovative mix of plastic, aluminum and steel materials, the door system helps reduce the overall vehicle weight in the long term. Lean manufacturing processes, short transport routes and pared-down inventory levels lead to greater supply chain efficiencies. “It is thanks to innovative products like our door systems combined with highly effective manufacturing and logistics strategies that we are able to create and retain jobs in Germany,” said CEO of the Brose Group Jürgen Otto. The door systems are manufactured by the just-in-sequence method. Once an order has been placed, the Bremen plant has around 280 minutes to assemble and test the door systems, then transport them six miles down the road to the Mercedes-Benz plant ready for installation. “We produce more than 700 different types. Our customers receive a premium quality product tailored to their needs that arrives at their assembly line exactly in the sequence in which it is needed,” said Christoph Jaiser. The company plans to have increased production by next year, enabling it to equip up to 1,050 vehicles with door systems. Brose also manufactures latch modules for various Daimler models at the factory. By 2016, the number of employees is expected to increase to 75. Bremen is one of four sites around the world that manufacture Brose door systems for Mercedes-Benz C-Class cars. The Hanseatic city will serve as a role model, passing on the experience it gains to subsequent production start-ups in East London (South Africa), Tuscaloosa (USA) and Beijing (China). The mechatronics specialist also supplies lightweight seat structures, cooling fan modules, electric power steering drives and systems for hands-free opening and closing of liftgates for the new C-Class.